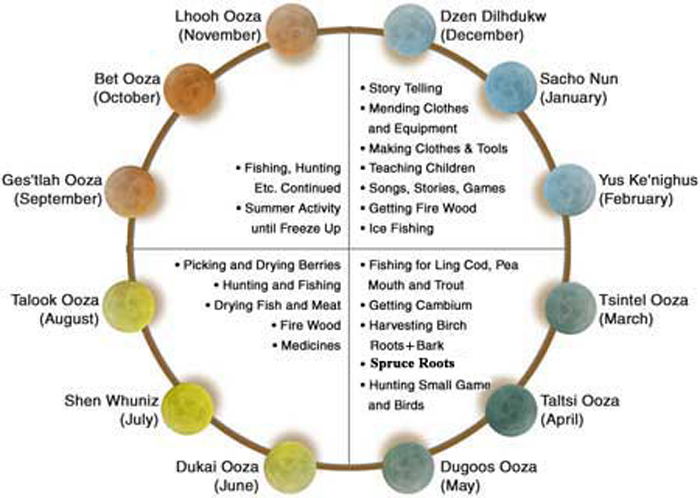 Each month of the year has a different significance to Stellat’en First Nations. January – Big moon. Cold, cold weather. February – We can fall trees on top of the snow. March – ling Cod Moon. April – Pea Mouth Fish Moon. July – Middle of the Summer. November – White Fish Moon. December – Short Days Moon. to see the months of the year in Carrier language, courtesy of Emma baker, click on the image to the right. 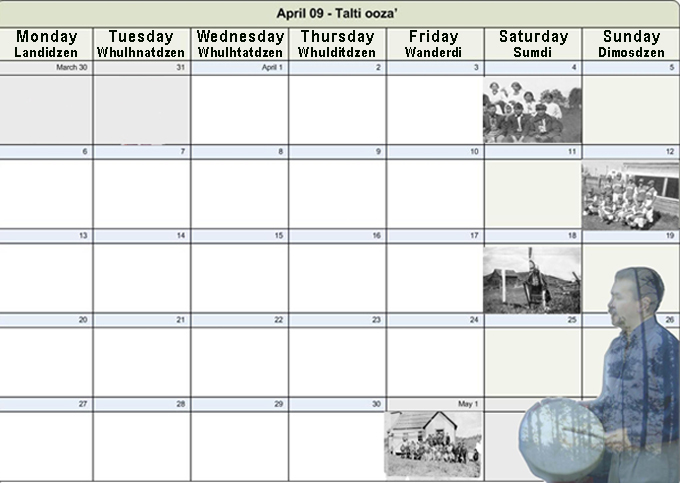 The calendar below is an example of a Carrier calendar, courtesy of Denelo.